Proudly serving the area since 2014... 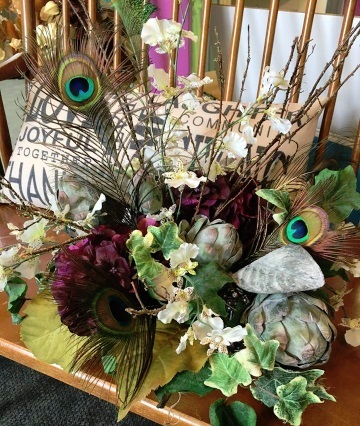 Everyday looks better with flowers from Pretty As A Peacock. 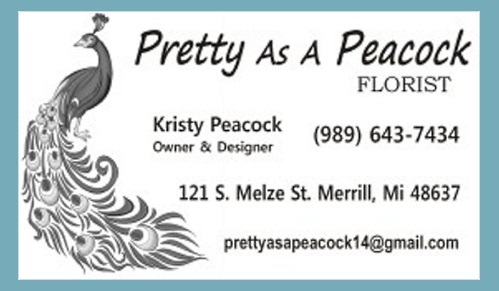 We're a local Merrill, Michigan florist with a lovely variety of fresh flowers and creative gift ideas to suit any style or budget. 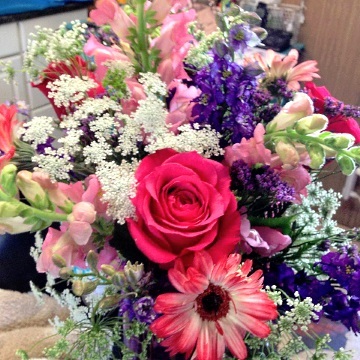 If preferred, you may call us to place orders direct at 989-643-7434. We also carry Memorial Gifts and Keepsakes, including Angel Figurines, Stepping Stones, Benches and Plaques. 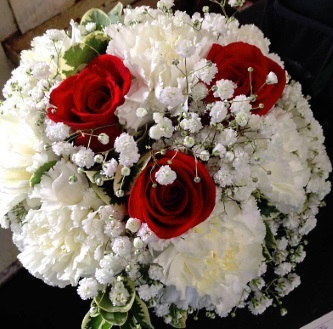 Wedding flowers and party flowers from Pretty As A Peacock will ensure your special day is a blooming success! Call in advance at 989-643-7434 and set up an appointment for a consultation. Choose from our Green Plants, Blooming Plants, Dish Gardens, Unusual Containers, Baby Gifts, Candy & Chocolates, Gifts, Greeting Cards, Jewelry, Angel Figurines, Signs, Home Decor, Scented Candles, Silk Flowers, Plush Stuffed Animals and Balloons. 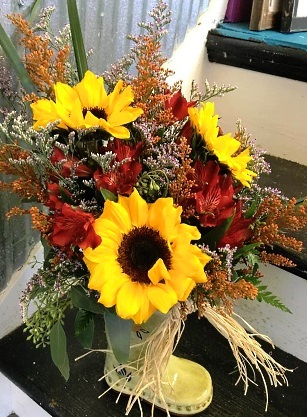 We will also do custom, made-to-order Fruit Baskets, Gourmet Baskets, Gift Baskets, Novelty Arrangements, Silk Floral Designs and more! 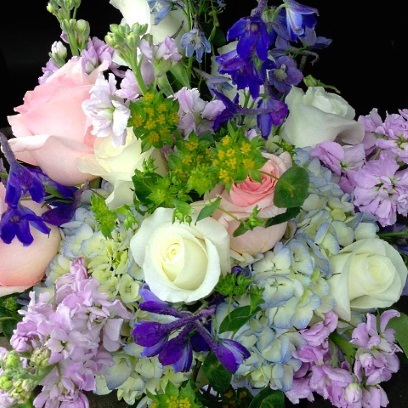 Just call us to make a special request. 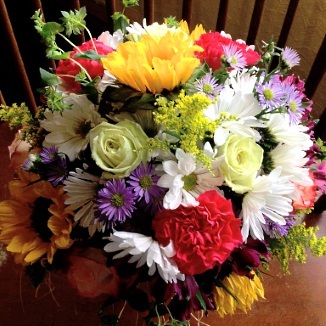 Thank you for visiting our website with flowers delivered fresh from your local Merrill, MI flower shop and convenient online ordering 24 hours a day!